With The Docket’s focus this month on mental health, it seemed appropriate to highlight and applaud the great work happening right here in the Denver area for people who experience mental health injuries of the most catastrophic kind. 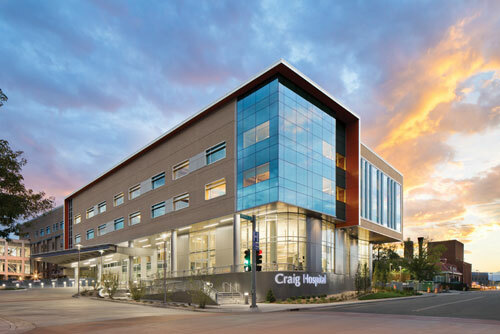 Craig Hospital, located in Englewood, Colorado, is a not-for-profit, free-standing specialty hospital that focuses exclusively on treating and rehabilitating people with spinal cord injury (SCI) and traumatic brain injury (TBI). Since becoming a specialty hospital in 1956, Craig has treated more than 31,000 SCI and TBI patients and sees approximately 500 inpatients and 1,400 outpatients every year. At any given time, Craig is treating 50-55 SCI patients and 25-30 TBI patients. The hospital has garnered national recognition for its rehabilitation services and outcomes, including being ranked consistently as a “Top Ten” rehabilitation center by U.S. News & World Report, receiving prestigious awards for nursing and in 2014 being placed in the top 150 places to work in healthcare. Craig Hospital helps people like Mark Glaser. In the summer of 2010, Mark and his wife Robyn were riding home on their motorcycles after a weekend trip in the mountains. As they rode east on Highway 50 toward Salida, Colorado, a car abruptly turned in front of them, and Mark was thrown from his bike. He impacted the side of the car head-on and suffered a broken neck, a collapsed lung, and multiple other internal injuries. He was taken to a hospital in Salida and from there to St. Anthony Hospital in Lakewood, where doctors managed to stabilize him. It would be ten days before Mark came out of his ensuing coma, and another three weeks before he began to understand what had happened. During that time, doctors successfully performed internal stabilization surgery on Mark’s neck and were able to determine that Mark had luckily not sustained any injuries to his spinal cord. However, Mark’s brain was injured from the trauma of the accident, and he would need intensive rehabilitation to help him slowly heal and transition back to independence. Mark’s doctors and family decided to send him to Craig Hospital. Craig Hospital uses a comprehensive, individualized and family-friendly approach to SCI and TBI rehabilitation. As a specialty hospital, Craig dedicates 100 percent of its clinical resources to SCI and TBI. Among its many benefits, the hospital’s specialized focus means that SCI/TBI patients and their families are surrounded by other patients dealing with similar injuries, offering peer support that has a major positive impact on rehabilitation outcomes. Craig Hospital states that its “graduates” (the hospital’s term for its former patients) experience greater functional independence, reduced medical complications, improved productivity and lower long-term costs than patients at general rehabilitation centers. Craig Hospital takes an interdisciplinary, team-oriented approach to rehabilitation. Because neurological injuries are complex, many different medical and health professionals become involved in each patient’s highly individualized care plan. 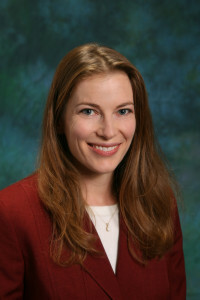 In addition to the patient and the patient’s family, a patient’s interdisciplinary team includes a physician who manages the team and oversees the patient’s care from start to finish; a nurse and nurse technician; physical, occupational and recreation therapists; and a clinical care manager, psychologist and community reintegration specialist, among others. Mark Glaser with his family. 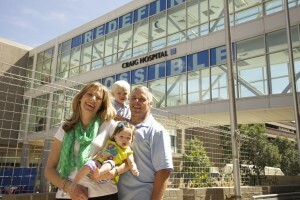 Craig Hospital also particularly encourages family involvement in the rehabilitation process. As Mark Glaser described, during his five-week stay at Craig, his relatives were always welcome at all hours, and hospital staff treated them as an integral part of his recovery process. Lisa Stites, a marketing and communications specialist at Craig Hospital, emphasized Craig’s philosophy that when a catastrophic injury occurs, it doesn’t just happen to one person, it happens to the whole family. In keeping with this idea, Craig Hospital has a family housing building on its campus for outpatients and families of inpatients. For inpatient family members coming from more than 60 miles away, the first 30 days of housing are offered free of charge. Craig Hospital continues to grow and expand its impact in the community. In 2014, it broke ground on extensive renovations to update and expand its facilities. To date, the hospital has added 85,000 square feet of new space and renovated 135,000 square feet of existing space. Changes include larger clinical spaces, a new outpatient clinic, expanded space for community reintegration programs, a nursing education area and more space for volunteers. In addition, just last month, Craig Hospital announced that it would become a leading sponsor of Operation TBI Freedom, a Colorado Springs-based non-profit organization that supports veterans and active military duty personnel with TBI. Among its services, Operation TBI Freedom offers crisis management, employment training, mental health referrals and benefits assistance to the approximately 7,200 service members in Colorado who have returned from conflict with a TBI. There are multiple ways to get involved and support Craig Hospital. One readily available opportunity is to volunteer at “Family Night,” a monthly, volunteer-prepared family-style meal at the hospital for patients and their families to eat, relax and socialize with one another. Many other opportunities exist through the Craig Hospital Foundation. You can sponsor or attend a Foundation event to raise money for Craig Hospital programs and services. You can also participate in the Columbine Run for Remembrance on May 7, the Belair Sitework Services Clay Sporting on May 20, or the bike race “Pedal 4 Possible” on June 18. It is possible for individuals to volunteer with patients, assist during therapy sessions, join the Community Engagement Team or make financial contributions. 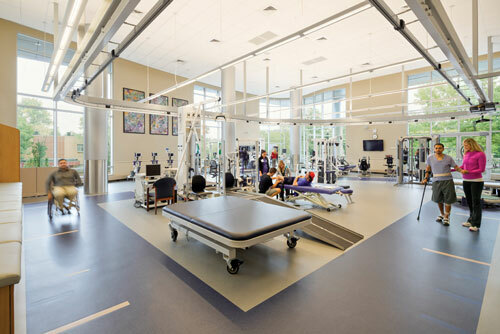 In addition to supporting the renovation and general operation costs, funds raised through the Craig Hospital Foundation are used to support services not covered by a patient’s insurance, such as extended outpatient therapy, therapeutic recreation and adaptive equipment for daily living. Without a doubt, Craig Hospital is a remarkable place that provides remarkable care for people with SCI or TBI. For more information about Craig Hospital and to learn about volunteer opportunities, visit Craig Hospital’s website at craighospital.org. Eden Rolland is a 2015 graduate of the University of Colorado Law School and is currently a Litigation Fellow at the Denver City Attorney’s Office. She can be reached at edenrolland@gmail.com. Of Note: Mark Glaser authored a book titled 58 Feet that describes his rehabilitation journey. All profits go to support Craig Hospital. Craig does great work and is an invaluable resource in this area. It’s interesting to see this put this with mental health. A brain injury or spinal cord injury can lead to and complicate mental or behavioral health issues (both in survivors and family/caregivers), but they aren’t mental health injuries. A mental health treatment practitioner doesn’t treat brain or spinal cord injuries directly, and vice versa, though there is definitely a need for most survivors to receive services from both that isn’t usually met adequately. I’m not sure what a mental health injury is, except maybe another term for a harm usually called a psychological injury. Lawyers group brain injuries with psychological harm that can lead to damages, but it isn’t treated that way in the medical community, which focuses more on how the injury or issue arises. It’s an interesting question to ask if maybe brain injuries should be treated more like that though since for survivors and family/caregivers, the focus is more on the impact to life than on the source of the injury.